One of the good things about knowing this is I was familiar even with some brand making VR and AR headset I didn't know about it, also some game developers who are doing a lot without a huge budget, it's possible to achieve big thing with little. This years celebration of VR, the Global VR Challenge, came to a close at ChinaJoy, with developer Broken Window Studios winning first place in the competition created by Steel Media and Chinese VR specialists DeePoon. US developer Broken Window Studios' narrative exploration game Reflections was the winner. The game impressed judges with its interesting art direction and moving storyline, one in which the players choices have a meaningful impact on the narrative. Throughout Reflections, players explore life goals, relationships, and the philosophical implications of choice. This decisional butterfly effect is then represented through the games unique colour mechanic, which is beautifully brought to life in VR. Broken Window Studios faced stiff competition though. With hundreds of companies expressing interest and contacting Steel Media about the competition, the Global VR Challenge saw multiple judging rounds which resulted in a shortlist of ten. Those ten finalists from outside China were then awarded an all-expenses paid trip to Shanghai in order to compete in the final round of the Global VR Challenge along with the cream of Chinese developers, and to attend and exhibit their games at ChinaJoy, Asias biggest games show. This final round took place both at a dedicated event in Shanghais Century Park, and on stage during this years ChinaJoy. Having already been awarded a range of VR hardware, the ten finalists from outside China then battled it out alongside six Chinese champions, in order to win a share of the $35,000 cash prize pool, and to be crowned the winner. 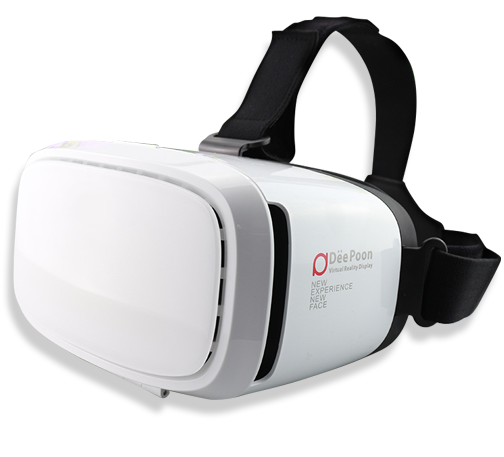 The Global VR Challenge was created by Steel Media, publisher of Pocket Gamer, in association with Chinas leading VR company, DeePoon. DeePoon creates some of the most popular VR hardware in China, shipping nearly one million units in 2015 alone. Resolution Games Tommy Palm, nDreams Patrick OLuanaigh, ex-ARM director Nizar Romdan, DeePoons Leon Zhang, AMDs Neil Chu, ustwos Peter Pashley, Kingnets Fred Cai, Alphas Holly Ho, Andrew Kim, CEO of leading Chinese VR site 87870?????-????????????-????? ?|Oculus rift??|VR? ?, and Steel Medias Chris James, Craig Chapple and Simon Aubrey Drake. Chris James, Managing Director of Steel Media, said, The final of the Global VR Challenge that took place in Shanghai was a truly awesome spectacle. Were delighted to have been working with our partner DeePoon on the project, who were amazing hosts and put on a very slick showcase for ten great western VR developers and six native champions from China. The quality of the competition was high and the judging so close we even had to declare two special prizes to ensure that these great games were justly awarded! Steel Media is very proud to be involved at the forefront of this emerging entertainment technology and to work with the leading companies in China, which we believe will continue to lead the global market in terms of scale and player enthusiasm for some time to come. Rest assured this is only the tip of the iceberg when it comes to our VR ambitions and theres plenty more to come in the months ahead. Finally Id like to offer my congratulations to all the winners, especially Broken Window Studios, and a hearty thanks again to our amazing partners and hosts DeePoon plus co-sponsors Alpha and Kingnet. Pocket Gamer Connects conference series. network, syndicates content to mobile operators and handset manufacturers, and provides a range of editorial, design, and other contract publishing services to a number of leading blue chip brands. Where do you find this stuff, Chemy! But you know when you are looking something like an USB charger and two hours later you are reading this thing and never found the charger, that's my day everyday.